I'm sorry,My website is almost Japanese! Pleases Visit "Nihongo (Japanese) OK ! dot com" ,and Make indication of Japanese possible with your PC. 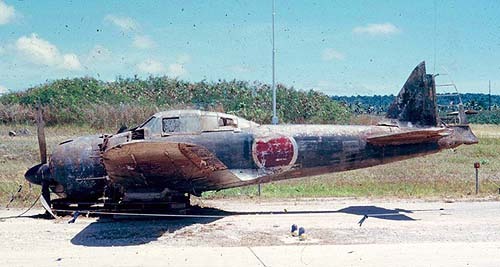 This Zero Fighter is in JSADF Hamamatsu Airbase,Now. This photo is, when 43-188 was discovered in Guam island,March 1962.